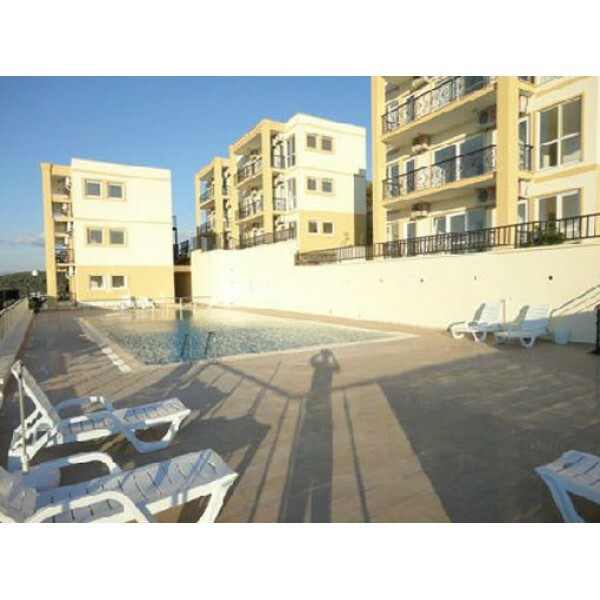 Seabreeze Apartments are located on an hillside site overlooking the beautiful bay of Gulluk, Turkey. The complex is made up of 34 apartments and is just 5 mins walk from the beach. The complex boasts a huge swimming pool, stunning landscaped gardens and there is a car parking area for owners use. The complex is 3 Km from the centre of Gulluk. Gulluk is not one of the well-known holiday resorts on the nostalgic Bodrum peninsula, but it does deserve more fame due to its ideal location, natural appearance and laid back atmosphere. It has maintained its original roots as a traditional Turkish fishing village and life is centred mainly on the harbour front and the numerous small beaches in the surroundings bays. Originally known as Kulluk it also served as a trading port for the Greeks during the reign of the magnificent Ottoman Empire. Mass tourism has never reached Gulluk so the result is unspoilt Turkish way of living which is a great introduction to the country for any visitors who come here for the first time. Gulluk is located just 10km from Bodrum airport and can be reached via the D330 Milas-Bodrum road. Due to the close distance, transfer time from the airport is just 30 minutes. There is also local transport between the centre of Bodrum and Gulluk. The distance is 40 km and takes roughly one and a half hours. This is one of the best regions of Turkey to invest in for rental returns. Contact us today to make an offer or book an inspection trip on this property.